Personal injury attorneys work hard to protect the rights and health and well being of car accident victims in a variety of different ways. INJURY CLAIM? NO WIN. NO FEE. Serving California Car Accident Victims, Workers' Comp. 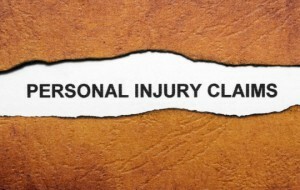 Claims and Personal Injury Lawsuit Injury Cases. 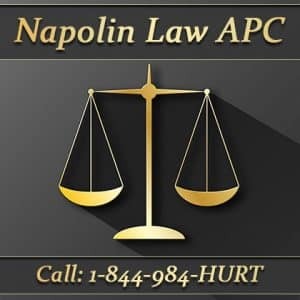 At Napolin Law APC we provide outstanding legal representation to those who have been injured in an accident or suffered harm due to the negligence of a third party. At Napolin Law, we realize the full impact a car accident or other personal injury can have on you, your family, your friends, and your community. A physical injury, whether mild or traumatic, is not the only kind of pain you experience. Time off work, damaged property, emotional suffering and diminished enjoyment of life are all real consequences of personal injury accidents. Since opening our doors in 2011, we have developed as one of the most aggressive injury lawsuit law firm in Southern California. We have developed a great formula of success with client attorney relationships, while representing individuals, families, friends, co-workers and small businesses. We aggressively pursue our client’s best interests, taking on the insurance companies and big businesses, head-on. With a track record of success on literally 1000's of personal injury claim cases, you can rest assured that you have the most powerful advocacy in California. As experienced experts in personal injury matters, we know what you are going through, and are here to walk with you and your loved ones through this difficult time. Our primary focus will always be, getting the best results for you. Whether you are looking for a Los Angeles County, Riverside County, Orange County, San Bernardino County, the Inland Empire. Mr. Napolin and his team have the power to achieve results for your accident case. Your Case Claim Success Begins with Our Law Firm. Providing, a no obligation free case evaluation. $0 FEE for our legal services until we win your claim or case. The best access to all the medical and chiropractic doctors for injury treatments you may need. 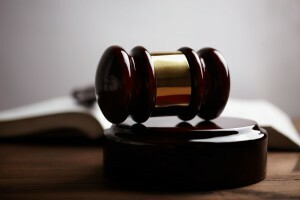 Whether you are involved in a car crash, motorcycle accident, slip and fall, or dog bite, you owe it to yourself to retain the best legal representation possible to safeguard your interests. Our attorneys and staff are dedicated to helping people just like you get their lives back on track. We are a law firm specialized in personal injury claims. The legal team here at Napolin Law APC has the experience and resources necessary to take on the biggest cases. We regularly achieve high profile settlements and jury verdicts for our clients. Our reputation as the best personal injury law firm in the state of California is not only measured by the amount won, it's best measured by our ability to deliver positive results by putting your legal case success first! Personal injury law includes a variety of instances and offers the chance for any injured individual to file a lawsuit against another individual responsible for all accidental injuries. 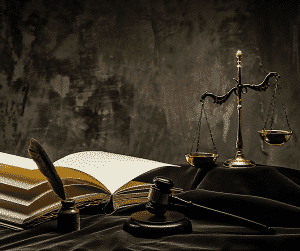 Personal Injury Law is usually also known as tort law and lawsuits are generally addressed within civil court, instead of a criminal courtroom. 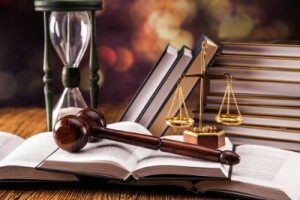 Personal injury law definition: Personal injury law refers to the legal solutions and defenses associated with civil lawsuits brought consequently of wrongful conduct. In reality, the word “tort” arises from a Latin term meaning twist, improper, or harm. Contrary to criminal law, a tort action does not involve the federal government prosecuting the wrongdoer. Personal injury legal advice: An individual could deal with simultaneously civil and criminal charges for the exact same case, however the crucial distinctions have a much lower burden of proof within civil lawsuits as well as the truth that civil charges generally help pay for damages to the injured party. The money that may be recovered may include things including medical related as well as emergency expenses, long term health care, loss of employment, damaged or even destroyed assets, incapacity to work within in the near future along with other factors. Furthermore, there’s also financial recovery with regard to non economic damages or injuries, for example suffering and pain, psychological pain, inconvenience, diminished happiness of daily life, as well as stress and anxiety. 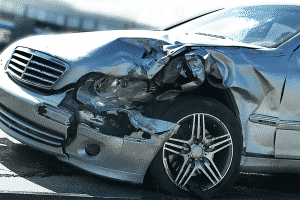 Personal injury car accident law that involve a motor vehicle accident is based upon the negligence cause of action. Generally speaking, the party at fault will have insurance to cover losses that they cause to the other driver, including proper damage and bodily harm. In such circumstances, the claimant will be bringing an action against the insured for which the insurance company is ultimately liable. The insurance company will therefore attempt to settle with the claimant to remove the liability from their books. However, the amount they are willing to offer is generally much less than what the claimant is legally entitled to under the law. Having a lawyer during the claims process helps significantly and often leads to a settlement in the appropriate amount without ever filing a lawsuit. 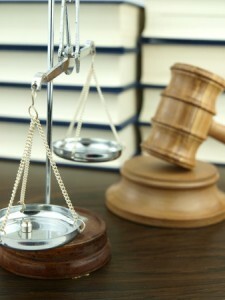 And, if necessary, the lawyer can take the case to a trial by jury in the event a fair settlement cannot be reached. If you or a loved family member or friend has been hurt and you believe there is a case, we are here to help you with a free case evaluation. We take cases involving car, trucks, motorcycles, pedestrians, buses, vans, trains and planes, as well as dog bites, slip and falls and many other types of possible accident cases. You should contact an attorney immediately for advice before speaking to your insurance company or to the other driver’s insurance company about the details of the accident or the extent of your injuries. If the other insurance company or your insurance company contacts you offering to fix your automobile, go ahead and allow them to inspect your vehicle. But don’t be fooled into sharing information with insurance companies about your injuries or the specifics of the accident until speaking with an attorney. Why? Because the main goal of the insurance company is to discount your injuries and use your statements out of context to deny your claim and pay you as little money as possible. 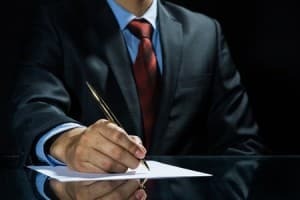 By hiring an attorney, you will have the benefit of putting up a barrier between you and the insurance company so that you can build the strongest case possible. Stronger cases mean higher settlements. Hire A California Personal Injury Law Firm Today! Have you been injured by the neglect of another through no fault of your own? If so, you will need an experienced accident injuries lawyer to help you navigate the process and advocate for you in a court of law if necessary. An attorney can help you find the appropriate doctor to treat you for your injuries, usually on a lien basis so private health insurance is not even required. A reputable accident attorney will also help collect appropriate evidence including medical evidence to prepare for the litigation phase of the case. This is why getting a lawyer early on in the fact gathering and investigation phase. Failing to properly collect evidence and document bodily harm can significantly devalue a claim. In addition, a good lawyer will provide you with advice from the insight they have obtained from their experience working on other cases that you will need in order to make the best decisions throughout the legal process. 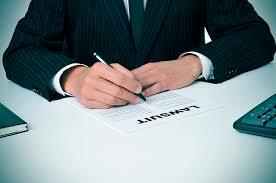 Getting represented early is the best idea so that the client can put up a barrier between them and the adjuster so they do not do or say anything adverse to their legal interests. Furthermore, the case can be properly prepared from day one to be brought to trial. There is no way of knowing when you will be involved in an auto accident. These things happen to everyone at some point in their driving life. Surviving the actual collision is one thing, getting through the legal system unscathed is another thing altogether. Many motorists suffer physical injuries that prevent them from working. These unfortunate people might wind up without enough money to take care of their families. 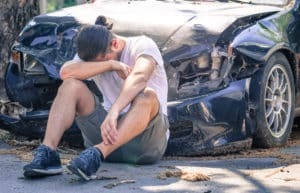 To help you avoid the same fate as a large number of Californians, following is an explanation of what happens after a car accident. The authorities will want to assess blame for the accident. To do so, they must find someone negligent. You will want to document as much evidence as possible to push them toward the truth. The other driver will surely attempt to make things appear in their favor. A lawyer remains the best source of information on how the courts in your particular jurisdiction define negligence at the moment. In general, all motorists have a duty to handle their vehicles to avoid accidents. Your lawyer will want to compile evidence that the other party failed to adhere to this legal standard. Is The Other Driver The Cause Of The Accident? Even if the other party did not drive reasonably, your lawyer has to demonstrate that their actions caused your injuries. This burden can be difficult to prove, which is why you should never attempt to sue for damages without an experienced motor vehicle collision injuries lawyer. Your lawyer will begin from the start to peruse the medical records. These documents should link your injuries to the accident. It is always best to visit an objective physician, whom your car crash injury lawyer can probably recommend. At times, insurance companies lead policyholders to their chosen doctors. The client might receive a medical assessment favored towards the insurer, who may not want to pay a claim. Depending on the current rules, the courts may want to consider your own role in the accident. Of course, the other side will attempt to bring up your negligence regardless. 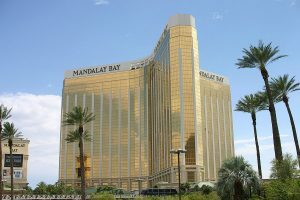 An experienced lawyer will want to explain how the actions of the perpetrator were either the sole or most predominant factor causing your injuries. You will want to sue for money spent as result of the crash. A compensatory damage claim will request such recompense as lost wages, medical costs and rehabilitation bills. Also, if the defendant, the one being sued, acted particularly negligent, the court may want to punish them. In civil court, the only way to do so is with a financial penalty. Known as punitive damages, these monetary awards are in addition to any compensatory amount. Your lawyer will discuss punitive damages during a legal consultation. Car Accident Attorneys in Los Angeles Ca. A serious injury like broken bones or a herniated disk could affect you for a long time, and depending on the circumstances of the case, a large settlement could be involved. It is very important to hire a motor vehicle accident lawyer due to the complexity of the case. There is no time to waste before filing a car accident lawsuit. The longer you wait, the more likely the evidence will become skewed towards your adversary. Nevertheless, it is never too late to begin, so contact a compassionate lawyer today. Doing so can help you receive the compensation you deserve. California Workers Compensation Law - Are you the victim of an injury or have you developed a health condition or illness from repetitive work activities? Have you been denied benefits, had your compensation minimized by the adjuster, or are you afraid that you will not be offered what you are legally entitled to receive? If so, you are entitled to have an attorney file a claim in court and represent you! The insurance company has major firepower on their side in terms of financial and legal resources, and they will use it against you to cut down your benefits in the name of corporate profits. To combat their shameful tactics, we fight inside and outside of the courtroom using our mastery of the claims process and our strong litigation skills. Those who have been hurt at work need all that they can get so that they can recover and be back on their feet. That is why the California worker’s compensation safety net exists! The State has established an administrative law court known as the Workers’ Compensation Appeals Board (or WCAB) to hear disputes over claims administration, compensation and benefits. When benefits are cut short, or reduced, doctor visits denied, treatment requests denied, doctors refusing to treat all body parts, legitimate injuries refused, the system is not doing what it was intended to do. California Worker’s Comp. is actually a state regulated insurance coverage system which is aimed at paying for health care costs as well as lost income for employees who have been injured on the job or even experienced work related health issues. Cases are generally handled in different ways depending on the type and seriousness of the employee's injuries. Individuals may recover some lost pay, health care costs, disability benefits, and charges related to treatment as well as obtain re-training. This program is run through the State, as well as funded with required workplace benefits. 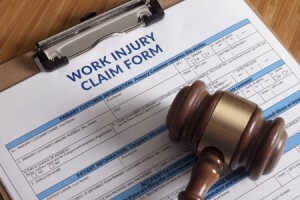 The law allows employees to specific benefits any time injuries occur on the job or has sustained an accident coming from a situation involving their job. All businesses have to offer employee insurance coverage as a result of the code, for those realistic requirements, every worker should be covered. An individual has the right to employee payment benefits for the loss of time or medical bills if they’ve been hurt relating to their employment or workplace. 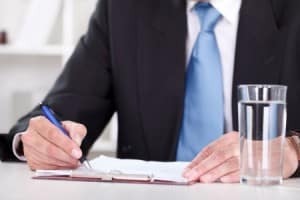 Your legal case can be extremely complex as well as handling a case effectively demands finding a professional with experience dealing with intricate court case lawsuits. Here at Napolin Law Firm, our clients know that their case is being paid the attention it deserves. 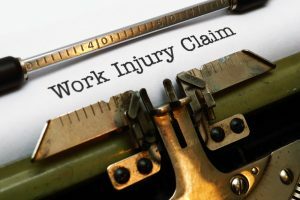 An experienced workers compensation law attorney can help make sure that the worker gets what they are entitled to receive under the Labor Code and applicable Regulations (Rules that further define how claims are to be handled). Here the this lawyer office, experienced and compassionate attorneys advocate for those suffering from job accidents and illnesses by filing the applications for adjudication at the WCAB. Cases are taken on a contingency fee arrangement so that no costs of suit or attorney fees are due up front. 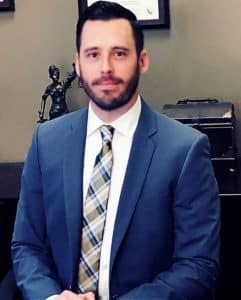 Personal Injuries, Slip and Falls, Injuries Claims, Pedestrian Accidents, Car Accidents, Truck Accidents, Accident Injuries, Nursing Home Abuse, Motorcycle Accidents, Wrongful Termination, Medical Malpractice, Bus Accidents, and Workers' Compensation. 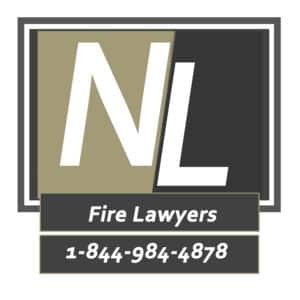 No obligation, free consultation find out how Napolin Law Firm may be able to help with your legal matter. Contact our Office now at: 1-909-325-6032 or fill out our evaluation form on the go. We are here to Help – Call Now (844) 984-4878 for an Accident & Injuries Law Attorney Today – FREE Case Review to Protect your Legal Rights! – Accident Injuries, Car Accident, Dog Bite, Work Injury, Employee Rights, Wrongful Termination, Wage & Hour, Compensation Benefits, Injured on the Job, Discrimination, Medical Benefits, and Auto, Truck , Motorcycle Accidents. If you, a family member or friend have any injury related legal issues please contact our law offices. Call Now: 1-844-984-4878 - We are available!